Kirsten Larsen is the Food Systems Research & Partnerships Manager at the Melbourne Sustainable Society Institute, Faculty of Architecture, Building and Planning. Her work is concentrated on the complex challenges of sustainability and resilience of food systems, and the design and implementation of responses that also support healthy communities and regional economic development. Ms Larsen has published extensively across sustainable food systems, including leading formative contributions to development of a ‘food systems’ approach in Victoria, such as Sustainable and Secure Food Systems for Victoria: What do we know? What do we need to know? (2008) and Victorian Food Supply Scenarios: Impacts on Availability of a Nutritious Diet (2011). Her work has included innovative action-research designed to engage local communities in solving food systems problems, such as the development of the South East Food Hub. She has broad experience facilitating diverse stakeholders in complex discussions and shaping action for food systems transformation. 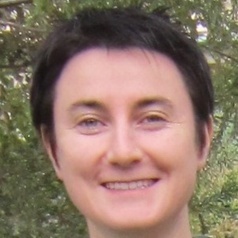 Kirsten is a researcher on the Foodprint Melbourne project (2015-19). She helped deliver integrated research and communications outputs, drawing on her networks, knowledge and experience on the topic both inside and outside the academic environment. She has co-authored the project’s major reports and other research outputs. Kirsten is also the co-founder and Director of the Open Food Network (OFN) – a global community of practitioners, researchers and developers building fair and transparent food distribution systems. The OFN’s flagship open source software platform supports peer-to-peer food distribution in 7 countries and is in development in many more.